For all those experiencing withdrawal symptoms from the last season of Game of Thrones, this news may go some way towards putting a smile on your faces! Fans of HBO’s mega-successful fantasy epic based on George R.R. Martin’s best-selling book series “A Song of Ice and Fire” are agonizingly waiting for its eighth and final season which, by all indications will drop around spring 2019. Rather than starting back at Season 1 (for the third time – I know your game!) check out the immersive Game of Thrones Live Concert Experience which will make a return next year with a globe-trotting tour across North America and Europe. Ah. 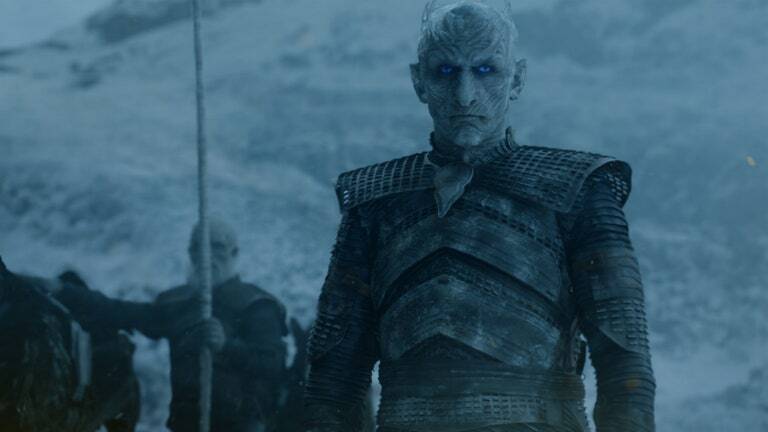 Post-season blues may well be almost gone and with a massive wait ahead of us, there is, at least, something on the horizon for G.O.T fans. Season 7 was interesting yet did have the feel that it was setting up for some serious intensity for Season 8. Who could forget Arya taking down the House Frey in a jaw-dropping echoing of the Red Wedding? Poisoning off all the remaining (around 51, right?) Frey men, she gave the faceless Walder’s young wife a chilling message, “Winter has come for House Frey.” Seriously? Who does that? If that wasn’t enough, how about Daenerys sending Ellaria Sand and the Sand Snakes back to Dorne to kick up their army? While escorted by Yara and the Iron Fleet? Those memories, eh? What makes scenes like this so special in Game of Thrones is the unexpected twists and turns. Enter: Euron’s fleet, seizing the opportunity and murdering two of the Sand Snakes, Obara and Nymeria, then capturing Ellaria, Yara, and the remaining Sand Snake, Tyene. Theon Greyjoy got away by saying ‘screw you’ (not really his words…) and literally jumping overboard. As the season progressed, the intensity was clearly being ramped up too. As a reaction to losing Highgarden and Dorne, Daenerys had enough and decided that, if you need something done right, you do it yourself. So she set off, her Dothraki warriors in tow, to approach King’s Landing. Rather than doing what we had thought they would in hitting the city, they attack the Lannister supply line which was carrying gold and grain from Highgarden. Dany, in cold-blooded fashion, uses Drogon to destroy the Lannister supply wagons while the Dothraki rip through the Lannister army. Clearly set up for Season 8, we have no idea what happens to Jaime Lannister. As for Season 8, fans are still being drip-fed hints and details of what will be the final chapter of a series which has encapsualted millions of viewers since 2011. The network is reportedly set to spend, spend and spend more on the final series. According to a report from Variety, the last six episodes of Game of Thrones are set to cost $15 million each (gulp). The final six episodes of Game of Thrones will all be feature-length, which will be even longer than the Season 7 finale, which was almost 80 minutes. The wait may well and truly be eased with The Game of Thrones Live Concert Experience, however. Aside from the rip-roaring plotlines, intense backstabbing and overwhelming power struggle in Game of Thrones, fans love the immersive and awe-inspiring special effects. While the Game of Thrones Live Concert Experience doesn’t exactly feature the whole cast reconstructing those famous scenes on stage, the experience itself will feel very familiar. The production itself is a master-craft by many of those behind HBO’s cultural phenomenon and will certainly not fail to deliver if you are a fan of the show. Ramin Djawadi, the show’s Grammy-nominated composer, leads the ensemble which will be punctuated by a huge orchestra and choir and accompanied by jaw-dropping and intense visuals which will take you back to Westeros in highly impressive fashion. The tour, which will begin next year, will feature music from Season 7 and memorable footage of the most thrilling parts and events of the last season. This event is certainly worthy of any place on a “to-do” list for “GOT” fans and there are ample dates available across North America and Europe. All in all, the event will be welcomed by a host of different countries in Europe, including Spain, Germany, Ireland, Britain, and Sweden before hitting Vancouver in September of 2018. An excited Ramin Djawadi has already promised fans that the event will bring the intensity, color, and wonder of the Game of Thrones series to the stage, with much more planned for those lucky enough to get their hands on tickets. The Game of Thrones Live Concert Experience kicks off in Madrid, Spain in May before ending on a high in Toronto in October 2018. Tickets for the must-see experience drop on general sale this coming Friday, Sep. 29, 2017.